Jamie graduated from the University of Strathclyde Business School in 2000 with a Masters in Finance and started his career in Investment Management with Greig Middleton (ultimately becoming Barclays Wealth) and completed his professional exams in 2002, becoming a Chartered Fellow of the CISI in 2011. He has 10 years investment management experience, and prior to this has a further 4 years’ experience working in the oil and gas industry in Aberdeen. Jamie also worked at Cornelian Asset Managers as an Investment Manager before having a period out of the market as a full time dad, setting up his own business venture in that time. 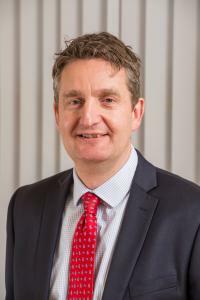 He returned to the investment management business with Blackadders Wealth Management in November 2017 and is responsible for managing investments for private clients, SIPPs and trusts and works out of our Edinburgh office. Outside work, Jamie is married and kept busy by his two sporty boys and when he gets some free time, he is a keen mountain biker and enjoys the trails around Scotland and also competes in mountain biking endurance events. He also likes to keep in touch with the rugby scene having played for many seasons.